Here are seven myths about high blood pressure that I think will have the most impact on you and your high blood pressure. Of course, people believe myths when they do not understand the subject and those myths often provide a justification for certain actions or inaction. I am hoping to clear up many of your misunderstandings so that you can gain complete control of your too high - high blood pressure. I know a couple of senior citizens that are very active and some that are not active and are in perfect health with no disease. So not all of our elderly folks have high blood pressure. But the other half that have blood pressure tend to have certain factors in common, like being overweight or obese and live a sedentary life with little or no manual labor. Their diet is not rich in fruits and vegetables and their daily intake of salt is too high. These factors can also lead to high blood pressure in younger individuals. Medical Reports have shown that these myths about high blood pressure is not the same for certain tribes in the Amazon who are isolated from modern civilization. And to those in the rural populations in Latin and South America, China and Africa its been proven that high blood pressure is not inevitable with aging. But it is important to note that the one change that occurs with age that may lead to an aging relative increase in blood pressure is a gradual loss of kidney function. So to prevent high blood pressure adopt a healthy lifestyle at a young age and stick to it. If you have uncomplicated high blood pressure, your quality of life should be about the same as an individual with normal blood pressure, or even better because you're taking better care of yourself. As you know high blood pressure is a serious condition that must be managed and sometimes drugs might be necessary. But restricting your life and avoiding strenuous exercise or never eating out again isn't reasonable. Also the side effects of blood pressure drugs should not keep you from living a normal life. There are many non-drug treatments that lowers blood pressure without any bad side effects. The consequences of untreated high blood pressure at any age are far greater than the side effects of medication or the changes to your lifestyle. Sure there are side effect to taking medication, I have experience quite a few, but none of those side effects can compare to heart attacks, brain attacks and kidney failure. Those are all side effects of uncontrolled high blood pressure. The best treatment of high blood pressure is exercising, yoga and meditation. The side effects are feeling great, more energy along with the peacefulness that comes to you. If you are experiencing strong or bad side effects ask your doctor to lower your medication dose or change your medication. Also if you're tired all the time, ask your doctor to check your potassium levels to see if it is too low. Debunking another myths about high blood pressure is at one time doctors only treated high diastolic blood pressure. But now both diastolic and systolic blood pressure figure in the decision on how to lower blood pressure. If treatments were only based on the diastolic blood pressure readings very few people over the age of fifty would receive treatment. Though at the same time lowering diastolic blood pressure in the elderly is dangerous and can cause brain attacks. I am sure you are aware that even the best pills in the world have side effects, so avoid them if you can. At the same time having high blood pressure does not mean you have to take pills for the rest of your life. Following a diet rich in fruit and vegetables, lowering your weight, using mind-body techniques like meditating and reducing your salt intake can lower your blood pressure without any side effects. It can sometime lead to the doctor taking you off medications. This is one of the best myths about high blood pressure that just won't go away. This myth might have gotten started because some people with severe, uncontrolled high blood pressure with major complications did some exercise and got into trouble. A person with an unstable heart disease associated with high blood pressure can have a heart attack as a result of heavy exercises. If you had a heart attack ask your physician what exercises you can do safely. You may need to avoid a too vigorous activity that requires too much effort over a short period of time, like heavy weightlifting. A doctor telling you to take it easy is not acceptable. It is better to consult with your cardiologist or an exercise physiologist. 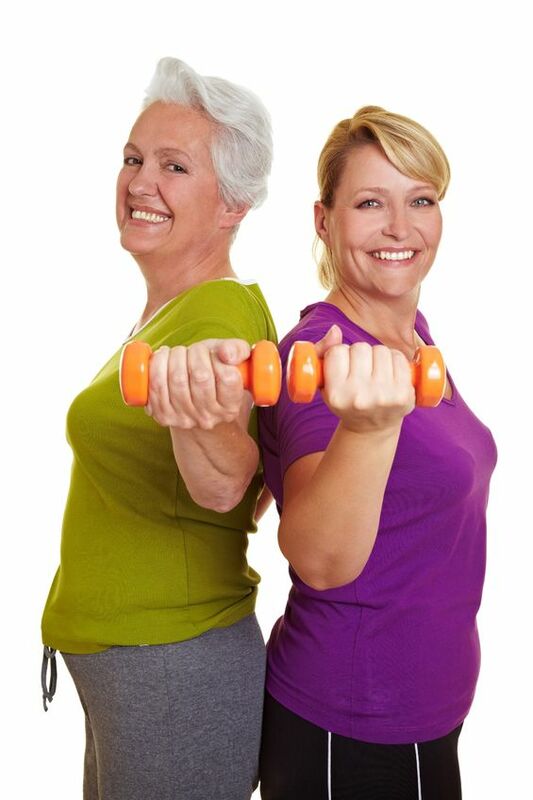 If your blood pressure is under control and you have no complications the benefits of exercising are enormous. One thing I know for sure is exercising lowers blood pressure. High blood pressure is sometimes called the silent killer for a reason. The disease can be silently damaging your heart, your kidneys and blood vessels before any symptoms appear and all the while you were feeling fine. Also the lack of symptoms is one of the main reasons why many individuals skip their medications, and also if their pills give them bad side effects. If your side effects from the pills are a problem, ask your doctor to either lower your dose or switch to another type of medication. I hope I was able to clear up some of the myths about high blood pressure. I do know that if you are proactive in seeking out more information on your condition, and willing to do the work, you will substantially increase your chances of being able to turn your lifestyle around and reverse hypertension. Thousands of individuals, of which I am one, have improved their lives dramatically as a result.